Here's a simple little Valentine that didn't use any stamps! 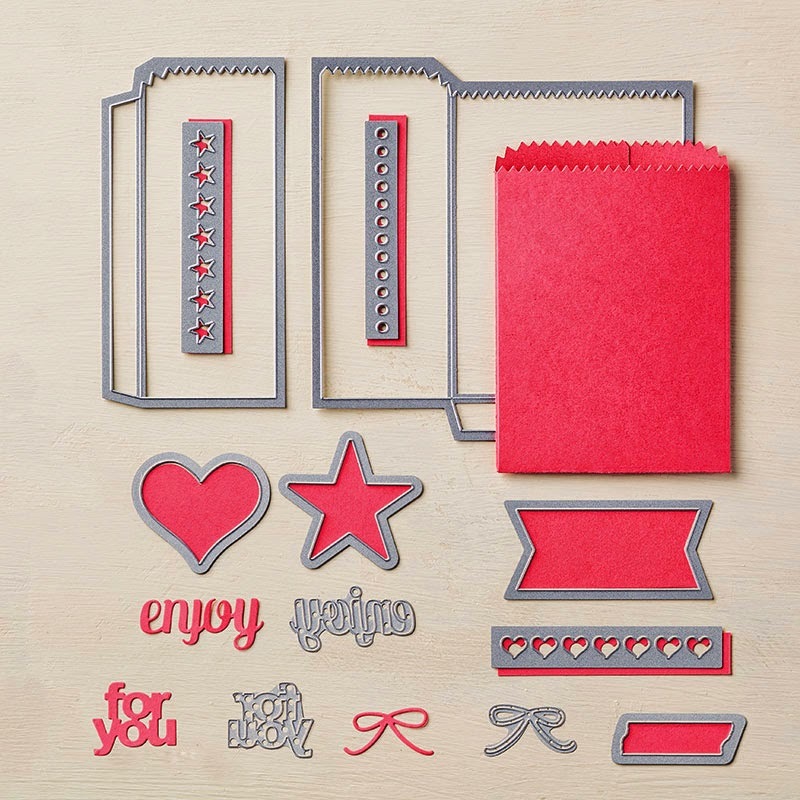 The "for you" is one of the dies in the Mini Treat Bags Thinlits Dies, which has a bunch of cute elements to use, not only on the treat bag, but cards, scrapbook pages, and treat boxes, too! I tried using just Crisp Cantaloupe for the greeting, but it didn't look right, so then I tried Real Red, and it wasn't quite right either. Then inspiration struck and I layered them........just right! 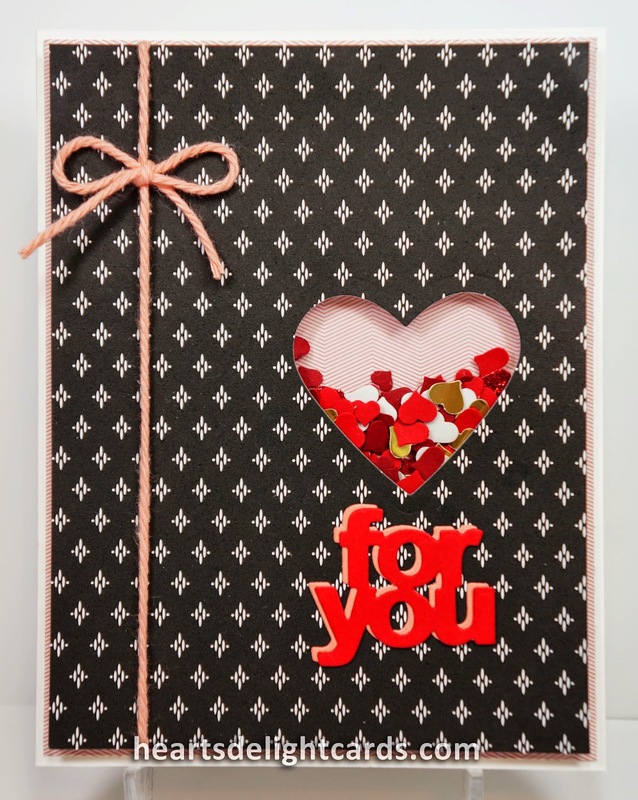 The heart confetti was punched from scraps using the Confetti Hearts Border Punch.